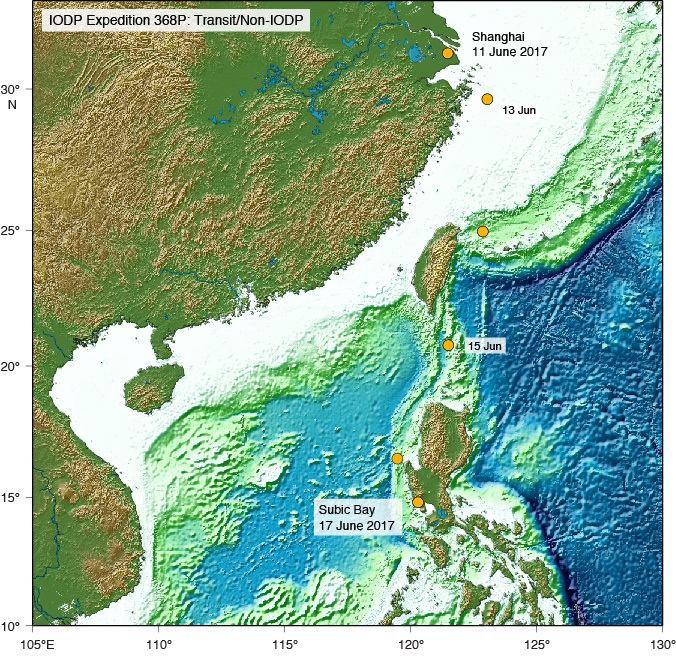 Following South China Sea Rifted Margin (Expeditions 367/368), the ship entered a maintenance period that started on 11 June 2017 with a port call in Shanghai, and continued with a brief transit (15–18 June) to Subic Bay, Philippines, and a port call ending on 9 July (Expedition 368P). 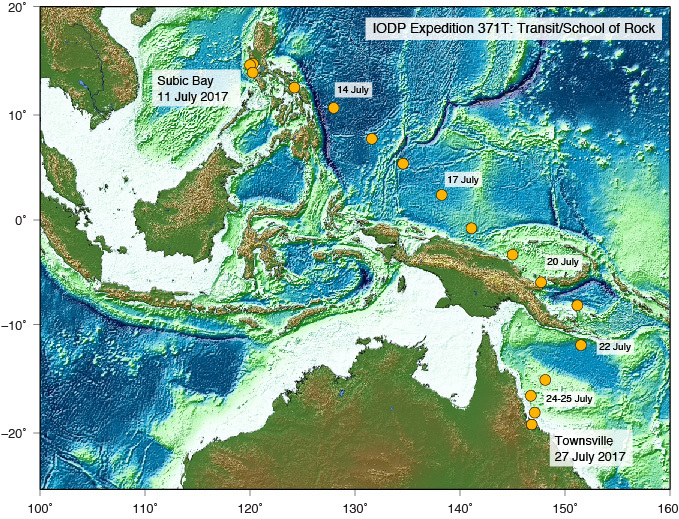 Following this, the School of Rock was conducted aboard the JOIDES Resolution on July 10–27 while transiting (Expedition 371T) from Subic Bay to Townsville, Australia. Following port call in Townsville, the ship will depart on 30 July for Tasman Frontier Subduction Initiation and Paleogene Climate (Expedition 371).